… you can have any or all of them! 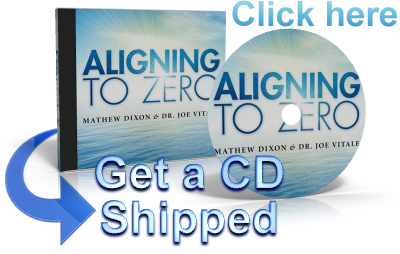 Simply by listening to this innovative, soothing, and divine new music called Aligning to Zero. You may know me from the movie The Secret, or from any of my bestselling books, such as Zero Limits and The Attractor Factor. But I'm not here to talk about me. I'm here to introduce you to some exciting news that you are going to love. Ancient Greece’s use of music dates back over 2,000 B.C. Recently, scientific research has proven that certain types of sounds, beats, and music have healing, mood enhancing, and mind-expanding powers – it could even influence your physical body. But that’s not the whole story, as I want to tell you about special new music that combines ancient and modern and spiritual and energy to do something truly spectacular. That's an amazing list of benefits, isn’t it? I know you may be skeptical, but give me a moment to explain the combined science behind all of this. So, how is it possible to achieve all these benefits by just listening to Aligning to Zero as you relax, work, surf the net, make love, sleep, workout, drive, or anything else? You have seven energy centers in your body. In some ancient systems, they are called “Chakras.” They are wheels of energy that spin as you live and breathe. You may or may not feel them, but they are working to keep you alive. If you have issues with fear, it may be due to your first energy center. If you have problems with relationships, it may be around your fourth energy center. If you have issues with money, it may be due to your first or even third energy center. If you want to increase your psychic abilities, you would work with your sixth energy center. You get the idea. Each energy center does something. When they are all working and in alignment, your life flows. What if we could align all of those and having them working in harmony – and in about 35 minutes? But how do you align your energy centers? "Scientists predict a future in which music will routinely be used as a prescription, when it will alter our genetic makeup, treat immune system disorders, and alter brain function in neurologically disabled and aging parents." "Researchers in this relatively new field of study called physio-acoustics are using frequencies of sound to create sympathetic vibration in the deep tissues of the body." Imagine it! Using sound to not only heal the mind and soothe your body, but to actually influence your very bones!! If music can actually influence your bone structure, couldn’t it obviously influence your energy centers even more easily? The list goes on. There are organizations studying music as therapy and measuring the results scientifically. Obviously, “healing music” is very real. But it’s also not new. 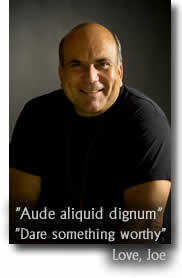 Music has been used in medicine for several thousand years. Ancient Greek philosophers believed music could heal the body and the soul. Native Americans use singing and chanting as part of their healing rituals. Even the American Cancer Society has suggested music as a way to help heal. Considering the obvious benefits of music as a path to healing, it seemed like the right approach to help align the energy centers of the body, too. But how would this music actually work to help you? Mathew Dixon is an accomplished guitar player with several albums to his credit. He's also my guitar teacher. We met when he wanted to know about ho'oponopono, the Hawaiian healing method I wrote about in my bestselling book, Zero Limits. As a result of our friendship and Mathew's deep thinking, he said he wanted to create an album of music with me – but a very unique one. One where the music actually helps you heal, let go, forgive, release and balance your energy. It would be music to help align your energy centers – all seven of them. Mathew explained each energy center corresponds to a musical key. He did more research and discovered that the music could be performed, and later mixed in the studio, in such a precise way to actually influence each energy center or chakra. 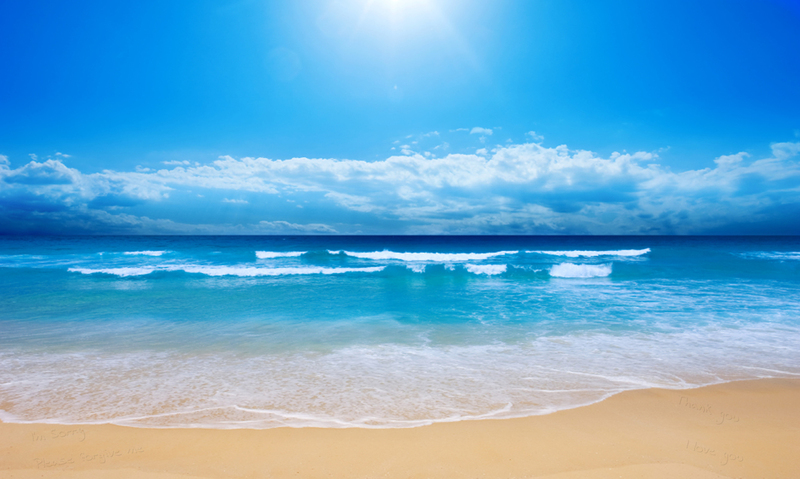 He furthered explained that if each track used one of the mantras from the ho’oponopono healing method, then all the tracks combined would actually work together to adjust and align your entire being, with the goal being getting to “zero” – where you have no limits. In other words, the music would be designed to open all your seven energy centers, get them flowing and working in harmony, and lead to an experience where your limitations are dissolved and you are as close to “zero” or enlightenment as any music could ever accomplish. Hearing this made me so excited, I was getting goose bumps. When played in order, each melody is composed to resonate and align your 7 energy sources. It all happens in about 35 minutes. These phrases are a type of mantra, or song, or prayer, that have been used to help people attract miracles. I wrote about this at length in Zero Limits. The point for you to understand here is those very same phrases are “under” the music Mathew and I created. That means your unconscious mind will absorb the messages. You won’t hear them. (Again, you may hear them over time, with repeated listening, and that’s perfectly fine.) That’s what you want. Your seat of power is in your unconscious mind, not your conscious mind. The fact that these phrases by-pass the critical mind and are allowed into your power center means a whole lot of healing can happen without you doing much at all. In fact, all you really have to do is relax and listen to the music. This guitar is infused with love. It took almost an entire year to make. Plus it has the healing phrases right on the neck. And the fret markers on the guitar are yin-yang symbols – a symbol I have seen throughout my life, as a sign that my guides are with me. This amazing guitar was played by me as lead guitar on six of the seven tracks, and it was used by me to create background swells, with me playing the special guitar through a synthesizer. Obviously, Aligning to Zero was created in an atmosphere of magic and made with tools designed to invoke powers greater than any of us. When I first discovered "Aligning to Zero," I had been feeling a bit out of balance and was looking for a way to regroup, take better care of myself, and bring more beauty into my "everyday" moments. 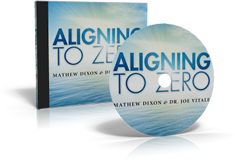 I started listening to "Aligning to Zero" as I was paying bills or catching up on emails. It put me in a whole different space. Since then, I've used it as background music for a workshop I lead on Judgement and Forgiveness. It creates a wonderful, healing environment. Thanks for this one. It's a gem." And all you have to do is let it play as you do whatever you like -- meditate, rest, relax, visualize, workout, drive, walk, swim, eat, make love, do Pilates or Yoga or get a massage or even sleep! It doesn’t matter. There’s nothing more you need to do at all! It’s really that easy – GUARANTEED! 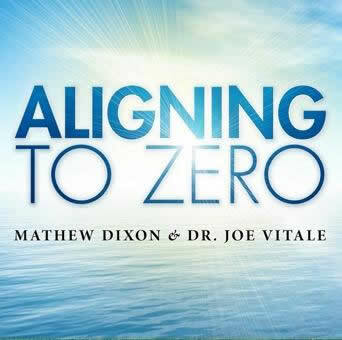 Listen to these beautiful interludes from Aligning to Zero By Dr. Joe Vitale and Mathew Dixon. You can download all tracks and instantly begin listening to them in minutes. 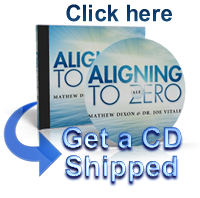 You can order a music CD to be shipped to your home or office. We know this special music is worth hundreds to thousands of dollars to you. After all, what is it worth to relieve stress? Since stress alone accounts for so many medical bills and complaints, just finding a way around it ought to be worth a ton of money to you. The download is easy and fast, and only costs $19.95. The shipped CD is perfect for using as you wish, and comes with a surprise secret mystery gift when you order it today. (Gift goes to the first 5,000 who order today.) It costs a little more ($24.95 plus shipping) but is also priced low. Either way, this is clearly a very fair offer. The music comes as a complete package, meaning you get all seven tracks. Each is about five minutes long, so you get about 35 minutes of blissful music.You can’t buy just one track, as that would be an imbalance to your system. In other words, you would be listening to one sound, and opening only one center, but the others would be neglected. You want to open all seven energy centers, so you want all seven tracks. That’s how we deliver them to you. Early reviewers of the music love it beyond words. One person said she was having spontaneous visualizations as she listened. They were loving, curious, and relaxing. Others felt the music was intellectually stimulating, leading to a “flow” state of relaxed awareness. There’s no way to predict how much you will love the music. The best thing to do is get it and listen. Do whatever you like as it plays in the background. It doesn’t matter. The music is designed to work no matter what you do. It’s safe, easy, relaxing, and healing. Honestly, we aren’t allowed to say the music will do anything at all, and can only say we are selling it for entertainment purposes. Well, this sort of “entertainment” is the kind that could transform your mind, body and soul! As I mentioned earlier, we are guaranteeing our album. I've been a member of the Better Business Bureau since 2003. I stand behind my name and my products. Try the music for eight weeks. 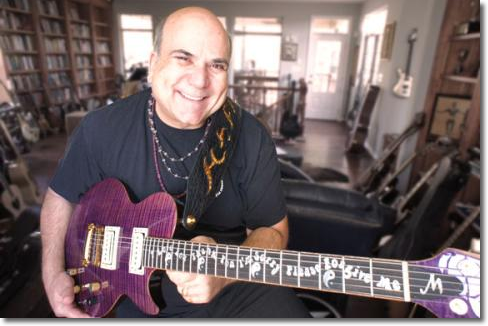 If you aren't happy for any reason with the music, please let us know by writing guitarmonks@gmail.com. You will get a complete refund – no questions asked! 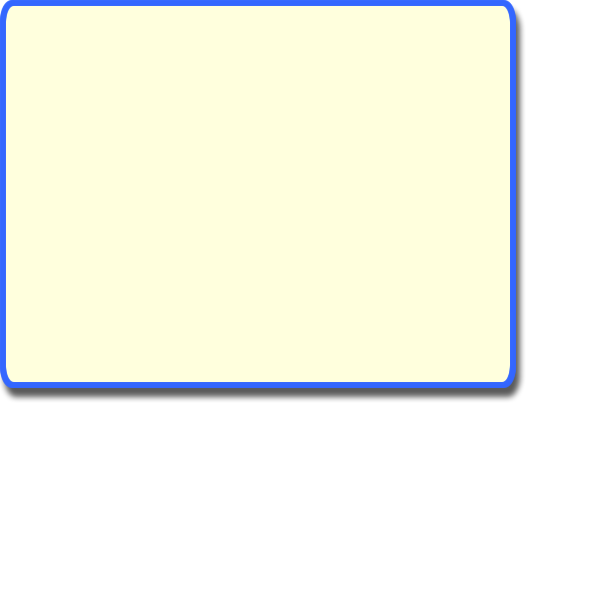 Obviously, Aligning to Zero is special music. 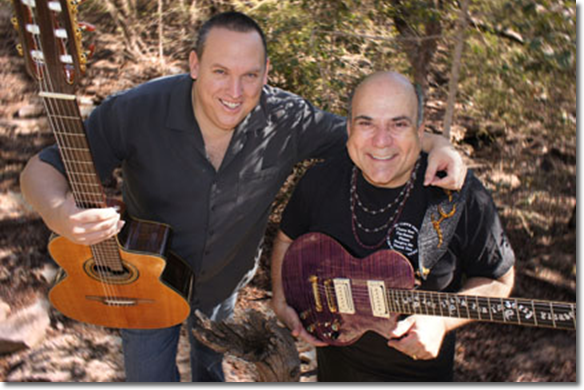 Mathew and I felt inspired as we created the music, as if we were led by the “Great Spirit” to deliver this healing music to you and your loved ones. Mathew told me he felt guided when he was in the studio, adjusting the sound levels and pace so the tracks were aligned to your energy centers. And of course, a lot of hard science and ancient culture went into the making of this special music. That’s the power of the healing music and the healing guitar. Actually, I’m in awe of my own playing on the album. It’s as if the music was played “through” me and not by me. She said, “I don’t know what it is, but I can see the changes in your body. She had no idea I had been listening to Aligning to Zero for two weeks! Of course, I can’t predict what wonderful things will occur for you. All I can say is your satisfaction is fully guaranteed. You can experience what I’m talking about by getting Aligning to Zero right now and letting it wash over you. It’s about 35 minutes long. Perfect for listening. Decide for yourself how beautiful it really is. All that’s left now is to either order the downloadable tracks or the actual CD shipped to your door. Whatever you do, do it with love. That’s what life is all about, isn’t it? Which would you like today – the download or the CD? PS – Remember, Aligning to Zero is designed to work whether you believe it or not, and whether you do anything else or not. You can even fall asleep while it plays. All we ask is that you listen to it as often as you like, and note the positive changes. Your satisfaction is 100% guaranteed. All you need to do is choose either the downloadable tracks or the music CD delivered to you. Why not order right now, while it’s on your mind? PPS – Also, for a limited time, you can get copies of this special music for people you care about, for family and friends, clients and more, at the same low price we are offering it to you today. You might prefer the CD, which you can hand to them as a gift. Your satisfaction – and theirs – is fully guaranteed. Go ahead and order right now and – Expect Miracles!